How come the app is free? Are there any hidden charges? We’d love to charge for downloading the app. The truth is, we’d have to spend more time and money in development just to do that. The other thing is that most of the current users of AOS Content Cloud are actually regular users of our core digital marketing services. We’re working with the principle that if you’re busy creating a lot of content on the go… you’re probably going to want a reliable partner to sort, rate and edit that content into an engaging brand story. And for that we do charge. When you sign up for the service we send you a list of our regular rates for things like video editing, social media management, web design. You can choose to start using those services anytime by contacting us and talking over your project. In the future we will be switching to a subscription model (with costs similar to Dropbox) for the app to cover those users who are using the app and not the services but we’ll most likely refund that fee to regular design/editing customers. Make sense? 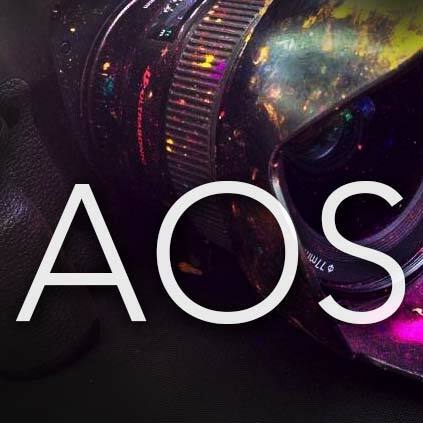 What’s are the long term development plans for the AOS Content Cloud app? If you have any features in mind that would make your content marketing workflow easier, please let us know and we’ll do our best to deliver it in a future update. I downloaded the app, signed up and started shooting… now what? 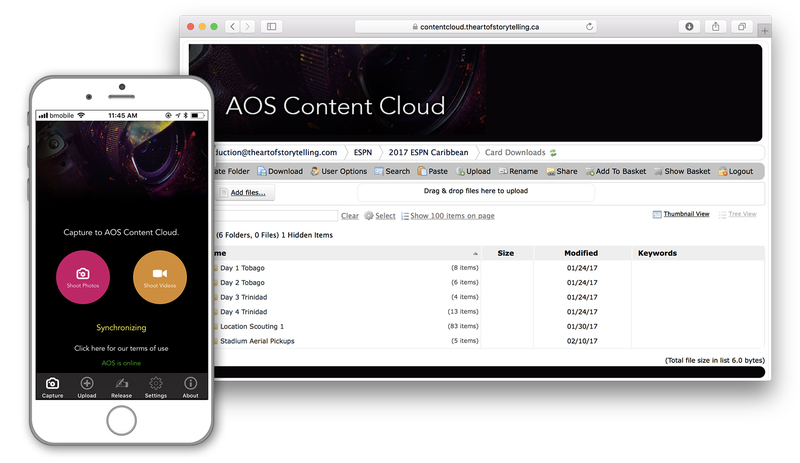 We built AOS Content Cloud for our regular clients with whom we’re in constant contact with. If you’re new to the service, we won’t yet know much about you, or your brand, or your needs. Do you want us to watermark your stills with your company logo and prep them for social media? Do you want us to post them to your social accounts as drafts, ready for your approval? Should we make them into a slideshow with royalty free music and your logo at the end? Or a turn your video clips into a 30sec spot with subtitles? Now you might be getting a better picture of where our relationship could be headed. Many users simply login to the cloud and download the content they want and set out to do all of the above themselves which is fine too. Yes but currently we need to do that for you. A future update will allow you to change your user details. We currently use your email address as your username to make sure you have a unique name that you’ll remember. Would you offer an enterprise version of the app for companies who want to rebrand the service? Absolutely. And we offer varying degrees of support. For agencies who can handle the video editing, we set up the cloud server for them in-house and leave them to it. And for agencies who just want to share the app with their clients but aren’t ready to scale up to handle video editing, we provide a virtual service that has our team provide all editing and packaging in the background. Talk to us today to integrate this awesome content marketing workflow into your digital agency. If you have a question about how the app works, please fill out the form below and we’ll answer it as soon as possible. AOS is incorporated in Ontario, Canada. We also run one of the Caribbean’s busiest production studios in Trinidad. Our crews have worked on assignment in South Carolina, Germany, England, California, Guyana and Bahrain. Our leadership team provides strategic marketing direction to businesses all over the world. Reach out to us today and we’ll do our best to get you in the digital marketing comfort zone. We’ll use your email address to get back to you, for rare service announcements and nothing more. Please include your phone number. In case our emails get junked, we’ll follow up by phone to make sure you get our response. Thanks!